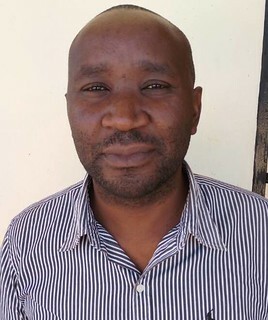 Charles Mpemba, subnational coordinator (SNC) for the African Chicken Genetic Gains (ACGG) project in the Southern Zone of Tanzania, discusses his observations and role in the project. It is one of a series of portraits of key people in Africa Chicken Genetic Gains (ACGG). I have a bachelor’s degree in Animal Science and a master’s degree in tropical animal production from Sokoine University of Agriculture (SUA) in Tanzania. For the past nine years, at the zonal level, I have been working as livestock researcher at the Tanzania Livestock Research Institute (TALIRI), Naliendele centre in the southern zone. I have been involved in research in poultry, and small and large ruminants. What unique experience do you bring to the project? I believe my experience in livestock research and farmer engagement will be of great use in bringing a positive change to the zone through ACGG. What is your role in ACGG and what are you currently working to accomplish? As a subnational coordinator for ACGG in Southern Zone, I organize all project activities in the zone including distribution of chicken strains to farmers, training farmers on chicken management, data collection and report writing. I am also responsible for organizing the activities for the on-station testing in Naliendele. We are currently receiving the Black Australop strains for on-farm and on-station testing in the zone. Since they are delivered as day old chicks, we have to brood them for 42 days (6 weeks) before they are delivered to farmers. The ones that are meant for on-station testing are delivered directly to the station. We are also collecting, cross-checking and analysing data on the performance of the strains that on-station and in farms. Ongoing activities include training of farmers on chicken management with emphasis on vaccination, and treatment and supplementation of chicken. We are also organizing, together with field officers (enumerators), community innovation platforms, which will soon take place in all ACGG villages. What about your role do you find most meaningful or engaging? The focus on women empowerment, through chicken keeping, is the most interesting aspect of the project. In many places of Southern Zone, women are highly engaged in poultry production but they do not benefit much from it. This happens because men usually make the decisions on how the money generated from chicken production is spent, even though women do all the hard work. In the ACGG project, we are engaging many women to make them aware of ways they can generate income through the sale of eggs and live chicken, as well as how they can supplement their household’s nutrition through consumption of chicken and eggs. What is the next piece of work you are focusing on right now in ACGG? The major issue we are focusing in the zone is ensuring availability of chicken feeds, especially during the rainy season. We have discovered a shortage of feed in many areas, resulting in lower egg production for many farmers. The feed shortage is happening due to limited supply and the higher cost of commercial feeds, which many of the farmers cannot afford. The immediate action is to work with field officers in the villages to identify available feed resources and to train farmers on the best way to use them in supplementing available feeds. Data collection on the distributed strains will continue while we receive and distribute the other three remaining strains. We have already received the Black Australop strain for distribution. What are some interesting research findings from ACGG in your region? The most interesting finding in this region so far is that mindset change was observed among farmers after the introduction of the project in the villages. Many of them used to keep chickens without following modern husbandry practices, like housing, supplementation and so on. The chickens were mostly kept in kitchens where they scavenged without supplementation and did not get vaccinations or medications. As a result many farmers did not gain much benefit from keeping chickens. But after the introduction of the project, farmers have started to build chicken houses and after participating in trainings, they have improved their poultry production methods. What are some of the most intriguing or innovative research question that you are currently exploring and/or want to explore in ACGG? Since there are challenges in availing supplemental feeds in the area, I would like to conduct some research on the use of available feed resources for supplementation. In this zone, there are some crop products which are discarded after being harvested such as cassava peels and cashew apple residues that can be processed and used as supplemental poultry feeds. So, my aim is to promote the use of these discarded waste products to farmers so that they can feed their poultry, reduce feed costs as well as increase eggs and meat production. What are you seeing as unique in your region? A lot of people in the zone are engaged in crop cultivation and livestock keeping, especially chicken and small ruminants. The major crops are maize, cassava and cashew. Women do most of the farm work but they do not benefit as much as the men, who are the household heads and make decisions on when to sell farm products and how to use the money obtained. Some men sometimes sell farm products and abandon their families, which leads to the suffering of women and children. Since the ACGG project is about women empowerment, we are seeing lesser dependence on males in the families that keep chicken. Also, the consumption of poultry products has risen as markets for poultry products are not available or are far. The ACGG project is about women empowerment and poverty alleviation, which are the most important areas of development for many parts of the zone. According to baseline survey data, over 80% of the households in the Southern Zone are male-headed. This makes it difficult for women to make decisions on the activities, especially farm activities, they undertake. As a result, men own many of the assets and women have no say in the income generated for and by the family. Therefore, by empowering women through poultry production, many families will benefit. What about the project causes concern for you and how can it be addressed? The major issues of concern in chicken production are diseases, feeds and finding markets for the chicken products. In terms of diseases and feeds, we are regularly providing training for farmers on major diseases and how to prevent them. There is also a vaccination calendar for the major diseases, such as Newcastle Disease, which is followed by each field officer. This vaccination program is also known to all farmers who have been trained on how to vaccinate their birds. Also, since the veterinary suppliers have been connected with ACGG farmers, it has been easy for farmers to get veterinary inputs and advice when in need. There is one veterinary supplier in each district. 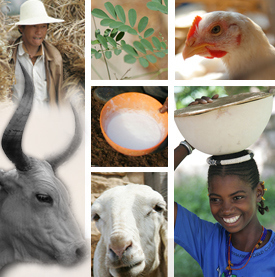 To address the issue of feeds, farmers are trained on how to mix available feed resources to make supplemental feeds. The lasting impact of ACGG will be the profit farmers will gain from keeping chicken. I believe that many will get involved in poultry production, especially in keeping those strains that have been shown to perform better among the five introduced in the zone. Many families, especially those which are headed by women, will have a steady income as a result of chicken production. Any other thought you want to share? Through poultry keeping many poor farmers are likely to improve their income. Even after ACGG ends, I think many will continue keeping chicken, even in areas where ACGG has not operated. Tags: Charles Mpemba, voices. Bookmark the permalink.